Have elections addressed the pressing issues of our political situation? 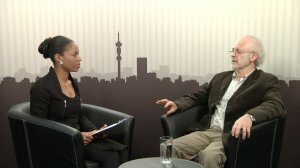 Researcher and analyst Professor Raymond Suttner speaks to Polity's Motshabi Hoaeane about whether elections addressed the pressing issues of our political situation. Camera & Editing: Shane Williams. Researcher and analyst Professor Raymond Suttner speaks to Polity's Motshabi Hoaeane about whether elections addressed the pressing issues of our political situation.